We’re a team of composers, designers and technicians who all share a similar passion: music! It’s our mission to share this passion and our music with you through this library. 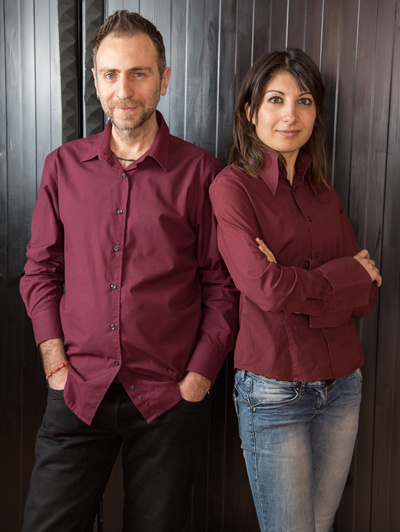 The composer Giovanni Dall’Ò and the sound designer Vera Sorrentino are the creators of this project. We work exclusively with professional collaborators: musicians, composers, sound designers and sound engineers, all of whom have extensive training and experience. In this way, we can always ensure that we provide high-quality audio. Browse our tracks, preview them, and purchase the appropriate license online with your PayPal account. Then, download your music immediately! You will receive an e-mail with all the details of your purchase. Moreover you can have your own personal account on our website from where you can keep track of all of your activity. Shine Library tracks are completely copyright clear and legal, so you don’t have to pay any additional fees to copyright holders. With our simple and affordable licensing options, you’ll only pay for the usage you require. Our music has been used in video games, films, shorts, documentaries, spots, theater shows and multimedia exhibitions (link portfolio). It has been heard at film festivals, on radio stations and on YouTube. It has been used as background music in stores and at festivals. We aim to provide you with the best possible customer experience by offering an easy to use music licensing platform and by providing high-quality music. We strive for maximum availability and we are always happy to answer any questions you may have about our music, licensing or otherwise.